Ultimate living for both human and horse. Stunning home with five bedrooms and 3.5 baths; formal and informal spaces with large windows and lots of light. 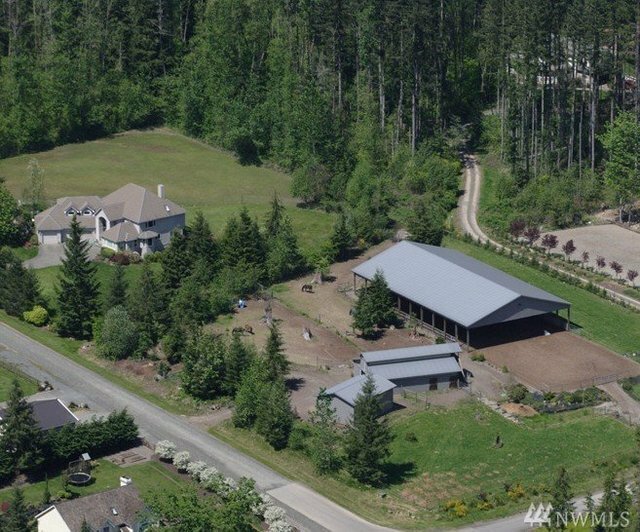 Have your morning coffee in the breakfast nook and watch as your horses leave the barn (six-stall barn with heated tack room) for their run-out paddocks.You planned to ride today but it's raining, never fear- you have a covered arena and if the sun does come out - you are only 600 feet from the Tolt Pipeline Trail and endless hours of riding.